You will get the pendant necklace as shown in the pictures. Only one available. 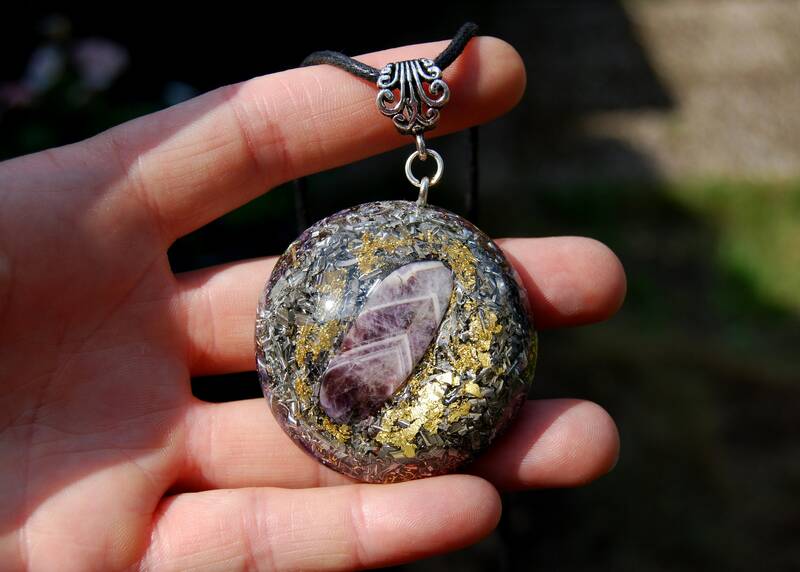 This lovely 4.6 cm / 1.8" in diameter Orgonite® pendant is made out of lots of brass, aluminium, bronze and copper shavings and 24K leaf Gold. According to Wilhem Reich's research lots of metal shavings are neccessary to remove stagnant energy. 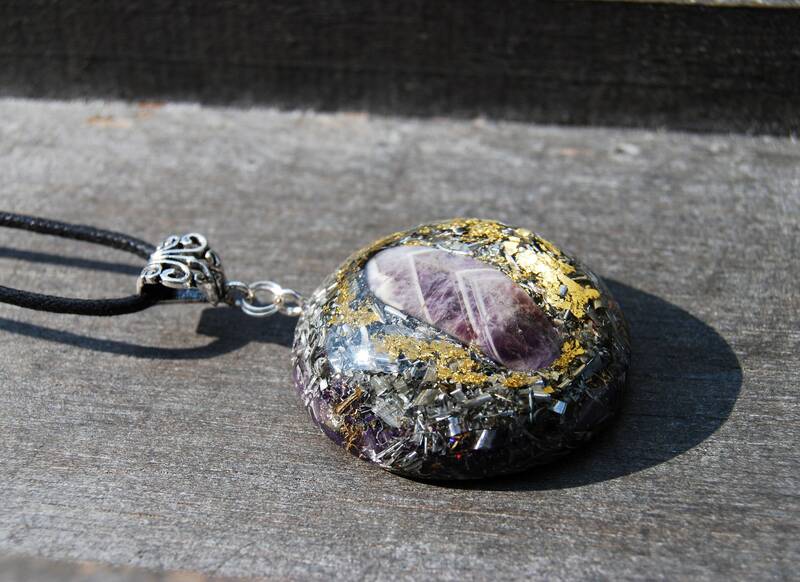 Also the bigger the pendant, the bigger the range of the orgonite®. 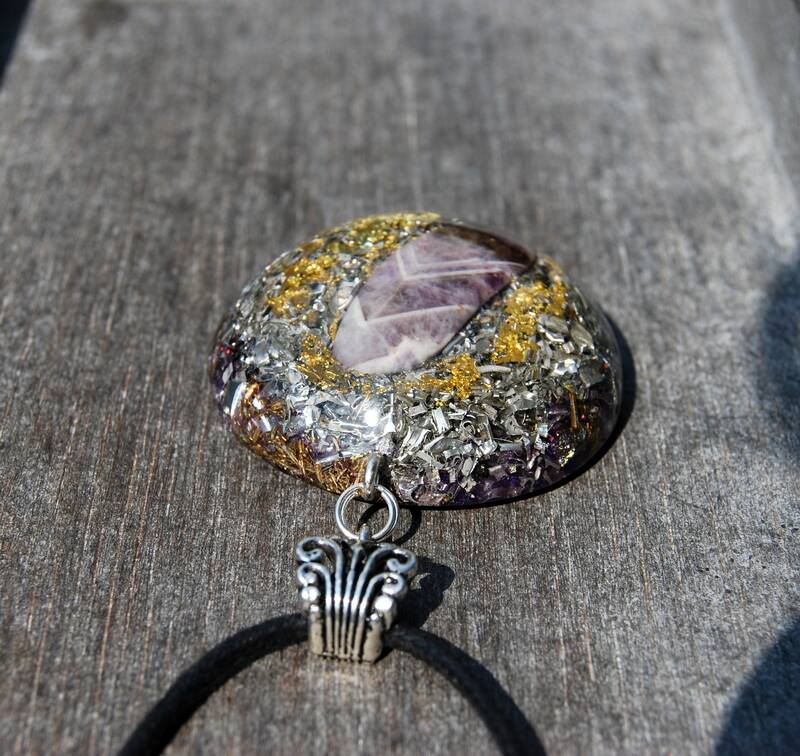 The main stone in the front is a lovely polished chevron Amethyst. Furthermore it consists Rose quartz (self love), Pyrite (to enhance and deflect extremely low frequencies), Shungite (protection), black Tourmaline (to protect and ground excess energy), Rhodizite (to amplify) and clear quartz (for piezo-electric effect) all within a durable resin setting. 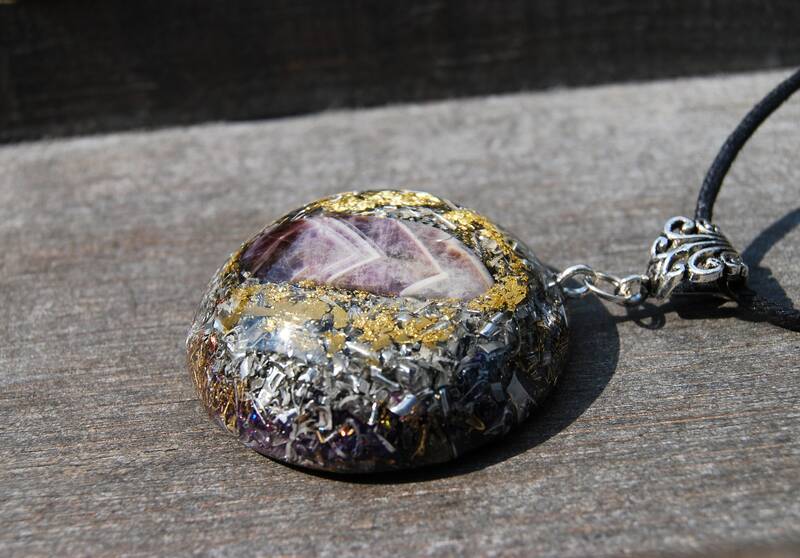 Chevron Amethyst is a powerful healer that combines the amplifying power of Quartz with psychic properties of Amethyst. Chevron Amethyst is excellent for increasing psychic awareness and intuitive guidance, and is said to be helpful for shamanic journeying. 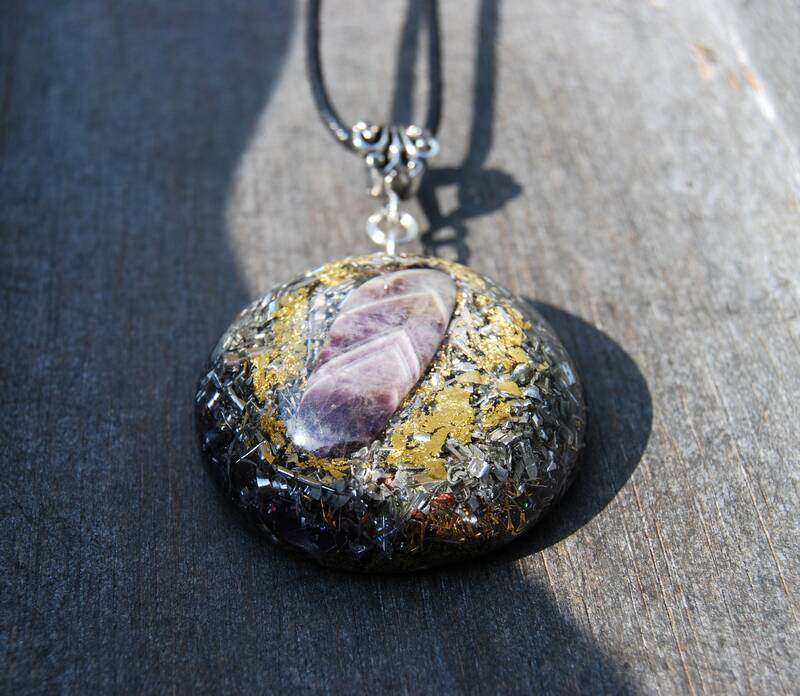 Chevron Amethyst can help release stress, promote relaxation and enhance peace of mind. It can support inner strength, courage and self-discovery – and is believed to lessen one’s resistance to helping oneself. It can help diminish addictive tendencies and supports recovery from addictions.